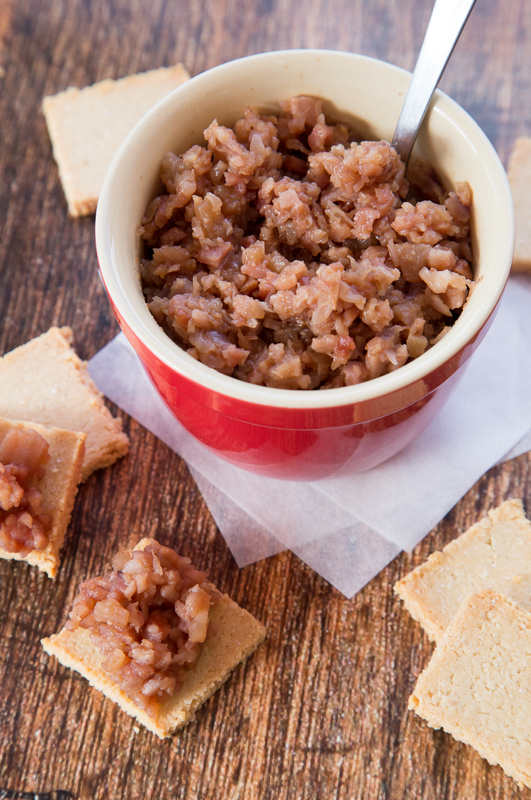 It’s been a bit quiet on this blog lately so I’m hoping to make it up with this AMAZING bacon jam recipe! It’s so delicious you will eat it with everything! Try it with your poached eggs, bacon and avocado for breakfast or as a relish for your burgers. 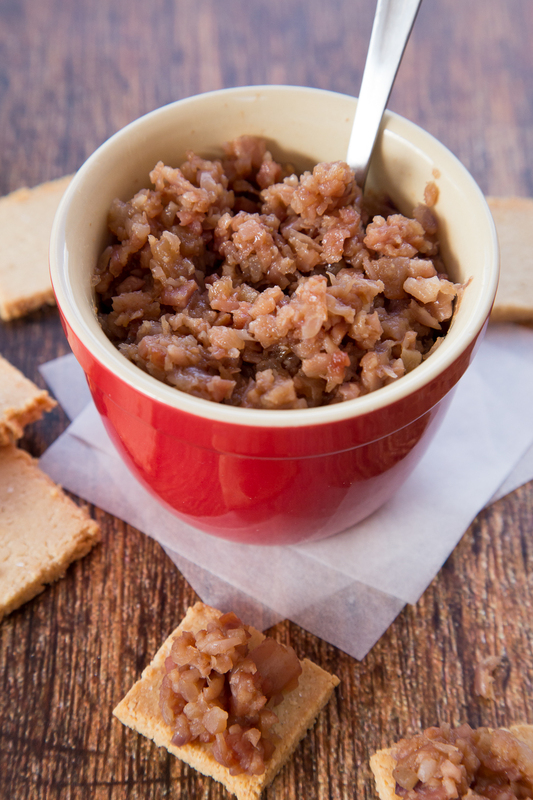 It also tastes fantastic with some homemade grain-free crackers as a snack. Just try not to eat the entire bowl at once! To make the jam, saute the bacon in a large saucepan until slightly browned and set aside. In the same pan with the bacon fat, saute the red onion until softened. Add the bacon back in with the honey, vinegars and spices. Simmer on a low heat for 35-40 minutes or until the mixture thickens into a “jam” consistency. Remove from the heat and allow to cool before giving it a few pulses in a food processor or blender. Transfer to an airtight container for up to a few weeks. To make the crackers; preheat the oven to 180C. Combine the almond meal and egg and knead to form a dough. Roll the dough out between two sheeets of baking paper until your desired thickness (the thinner the more crispy they are). Cut into squares and season generously with sea salt. Bake on a tray for 12 – 15 minutes or until they are slightly browned on the edges. Allow to cool and serve with the bacon jam!